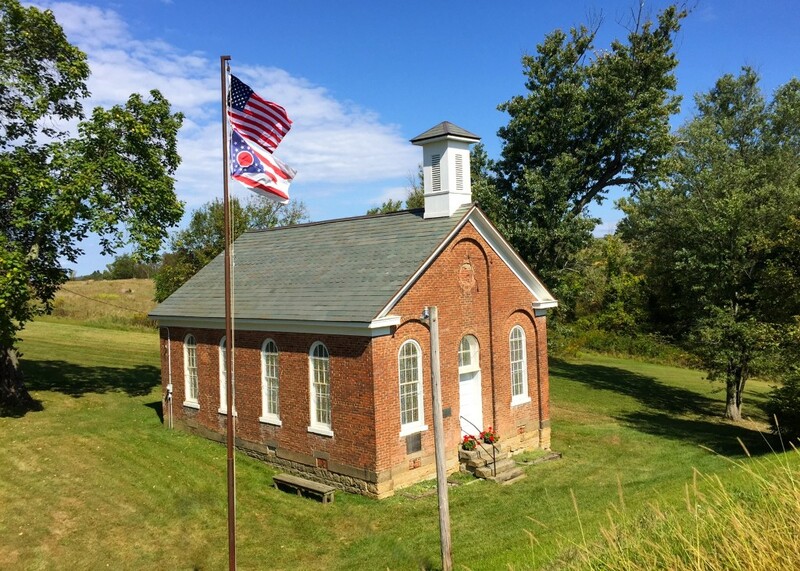 ﻿ Great Western Schoolhouse - Ohio. Find It Here. The school is located five miles west of the Belmont County Courthouse in St. Clairsville on the north side of the National Road. Visitors traveling on I-70 would use Exit 213 and follow Rt. # 40 West to Ohio University's Eastern Campus. The one-room school is approximately 1/4 to 1/2 mile west of the college. It is the next driveway beyond Ohio University's Eastern Campus.The Great Western School was built by the Clark Construction Company in 1870. The school remained in use until 1952. The National Trail Chapter #348 of International Questers restored the building in 1976 as a Bicentennial project. It is on the National Register of Historic Places. The Quester Chapter continues to maintain the school and provides tours and educational classes to visitors throughout the year. Students who visit this "working museum" are instructed by the 'schoolmarm' using the McGuffey Readers, Beacon Charts, Ray's Arithmetic, and Webster Spellers. They also participate in such games as Jacks, Pick-up-Sticks, Tug-of-War, Leap Frog, Drop the Handkerchief, and the Sack Races. If the flag is flying, guests are welcome to "come and sit a spell" and to hear the history and numerous stories of this one-room school.